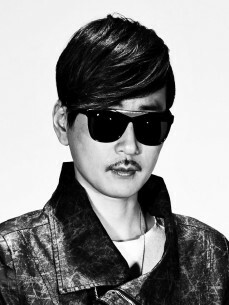 Flash Finger is the founder of Discovery Music / Discovery Deep / Discovery Young and Electronic Music Producer/DJ in Asia. The development of his unique style is the result of a lifetime of musical influence. His first foray into music was when he started to play the electronic guitar, which he continued for ten years before finally becoming an electronic music producer/DJ. He aims to become a international renowed electronic music producer and DJ. His motivations are to perform around the world and seek talented musicians for his label. Flash Finger's touring schedule is increasing relentlessly, and he wants to show the world his music. Flash Finger is active in the Asia EDM scene and also North America, too. International performances include playing in Singapore at the MAMA Music Awards in 2011 and his US Tour, playing at locations in Los Angeles and Seattle, Aug, 2014. And Flash Finger had tour in Japan, Malaysia, USA, Taiwan, China, Thailand, Myanmar, Vietnam The Nethelands, Israel for now and his tour schedule consistently updated. Flash Finger, DJ Benz & RosendaleSings have just teamed up and released “Rewind”, a charming progressive house track signed by Discovery Music Records. On the uplifting breakpart, Rosendale’s incredible vocals are perfectly working with those atmospheric synths and joyous melodies, while the festival friendly drop emerges the much needed energy. Overall, the track sounds really good and you must download this beauty today! Trust me, you won’t be disappointed! And Rewind ranked #5 on Progressive House chart, Beatport which is most influential EDM chart in the World.